City Knights, led by Brijesh Damani, posted an astonishing victory of 6-1 over Green Warriors and now staying in the top position of the points tally recorded so far. 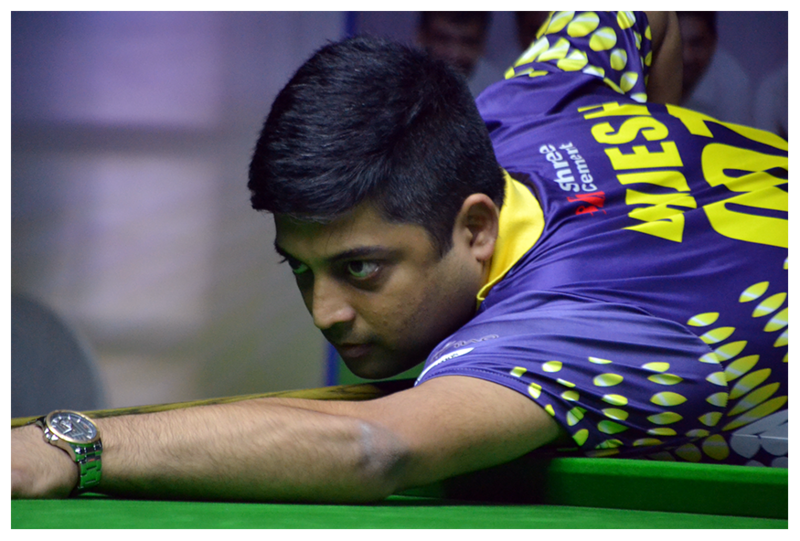 The Bengal Premier League is being played in the Silver Spring Club, organized by West Bengal Billiards Association. City Knights had lost their opening match yesterday in a close contest but last night they recovered well on time and defeated Black Panthers on a pink ball game of last frame. Today, once again, after winning first three frames, they lost the fourth frame of 10 Red doubles against Sundeep Gulati / Rahul Berlia. But before any further damage, they recovered and won rest of the three frames in a row to confirm 6-1 victory. With this win they are now leading in points tally with +5 followed by Snookin Shooters who stands with +2. Snookin Shooters, however, had fell into the trouble but controlled the game in the deciding frame to save the match 4-3 against Cue Magicians. After winning first three frames, all a sudden the pair of Shahbaaz Adil Khan and Sarfarazuddin went down in next three to come at par. However, in the last frame the pair of Shahbaaz Adil Khan and Himanshu Jain snatched away the frame on black ball game from Manan Chandra and Manish Jain of Cue Magicians scoring 62-53. Worth to mention that the pair of Manan Chandra and Manish Jain recorded the highest break of the league by scoring 96 points in the last match of yesterday. 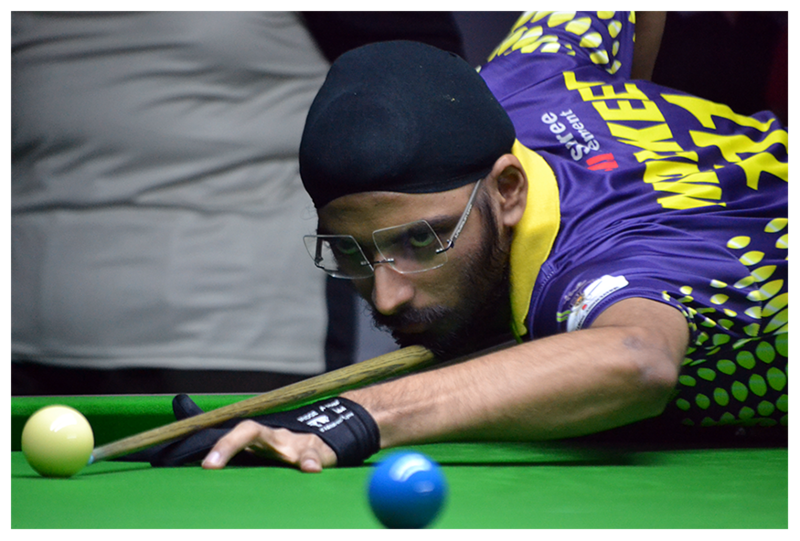 Kamal Chawla led Dream Chasers also recorded 4-3 win over the last two edition’s runner-up team The Rockets.